Dancing grannies, Polish milkmaids and the Bearded Lady. There’s no denying that the Eurovision Song Contest remains one of the most enduring phenomena of popular culture and, perhaps, also one of the strangest. The rules of the contest have changed a great deal over the years, but the core elements have remained much the same. There is always a presenter, or presenters, to introduce the Grand Final. One song still represents each of the competing countries. After each country has performed, there is some entertainment – usually referred to as the ‘interval act’. There is still a vote to determine the winning song, and there is still no prize for the winning act. Although it is not obligatory, the winning country is always invited to host the following year’s contest. The Eurovision is not just a European phenomenon it is also extremely popular in Australia, Canada and Southeast Asia. In 2014, it attracted 200 million viewers from across the world, twice the viewing figures for the US Super Bowl. Ireland’s love affair with the Eurovision has now lasted over half a century. Ireland made its debut at the tenth Eurovision in Naples in 1965. Since then, Ireland has won the contest more than any other country, and the Eurovision has been a launching pad for some of Ireland s most successful acts. There were mixed results in the first twenty years, but they included two wins – in 1970 and 1980. However, the golden decade for Ireland did not really begin until 1987, when Johnny Logan won the contest for a second time. His success was quickly followed by a run of further victories, and RTE – Ireland’s national broadcaster – went on to stage the Eurovision Final no less than five times between 1988 and 1997. But there have also been some spectacular and costly flops. 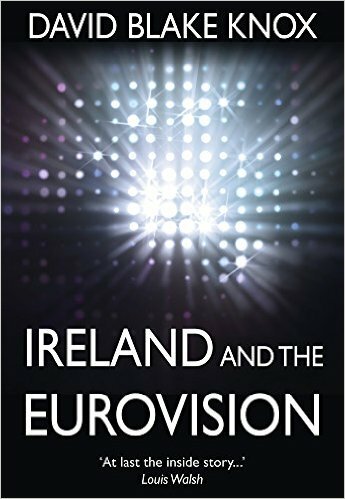 In this book, Blake Knox examines Ireland’s relationship with Eurovision and goes behind the scenes to deliver the inside story of what really happens behind the power ballads, sequinned costumes and glitter cannons. The book relives some of the most iconic moments of the past fifty years; the highs, the lows and the downright embarrassing. 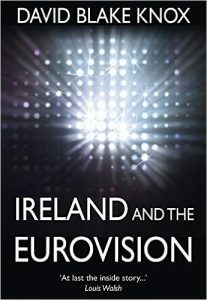 Further details of Ireland and the Eurovision can be found on the main catalogue, available in ‘Catalogues’ on the Library’s website.